ECA Group has announced the launch of a new lightweight, compact and rugged unmanned ground vehicle (UGV) based on its CAMELEON UGV platform. The CAMELEON LG has been designed to meet the operational needs of military and security personnel. The CAMELEON LG is designed to be carried in a backpack in addition to the standard equipment of a deployed infantry soldier without overloading the operator. The system is designed to improve the capabilities of a unit deployed on the field without slowing down or hindering it in its tactical movements. Lightweight and versatile (12kg without payload, 15 kg with) the CAMELEON LG can be equipped with a manipulator arm (lifting capacity of 4.5 kg) or sensors (laser range finder, radiological sensor, chemical sensor, thermal camera, etc. ). It features an operation range of up to 500 meters and the ability to climb 45-degree slopes. Resistant to dust, water and shock (up to IP65), it can be thrown during its deployment to limit the vulnerability of the operator or to reach inaccessible places such as windows, balconies, low walls and cliffs. The CAMELEON LG’s rugged construction also allows it to be loaded into all types of military vehicles without the need for a special storage container. Operational in only 3 minutes, deployment of the CAMELEON LG is simple and fast, meeting the responsiveness needs of a tactical mission. 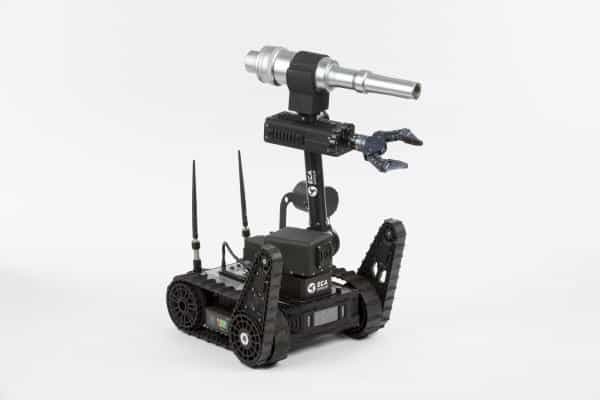 Its high-resolution cameras, light weight, small size, agility and off-road capabilities make it an ideal robot for inspecting terrain, culverts, homes, caches or undersides of vehicles in search of IEDs, suspicious packages or hidden triggering devices. With an intuitive design and ergonomic touch screen and buttons, the system controls allow the operator to direct the robot, interpret received images and data, and manipulate the arm and sensors. 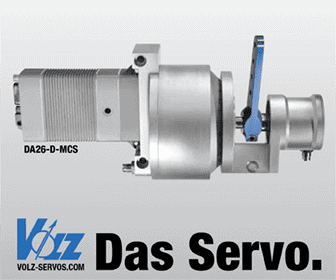 An auto-diagnostic maintenance system helps reduce the operator’s workload. The control station is also resistant to shocks, water and dust. The CAMELEON LG has an endurance capability of 4 hours on the move and 15 hours in stand-by mode.